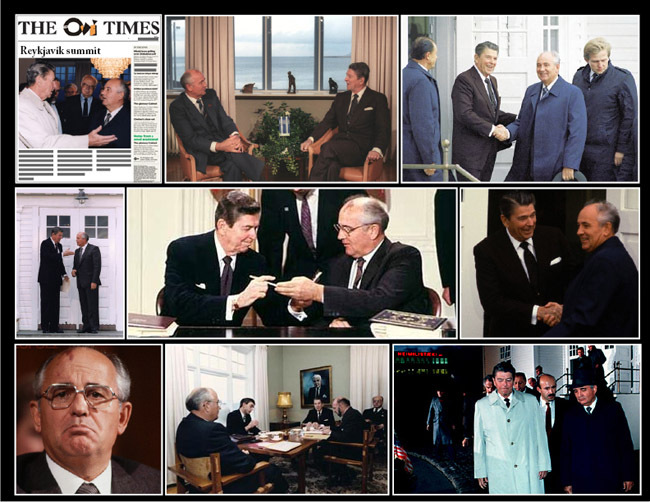 October 12th 1986; US President Ronald Reagan and Soviet leader Mikhail Gorbachev failed to reach agreement at a disarmament summit in Reykjavik. The two men came close to striking a radical arms reduction deal after a weekend of lengthy negotiations at Hofdi House in the Icelandic capital. But the talks finally stalled over President Reagan's refusal to abandon his Strategic Defence Initiative (SDI).